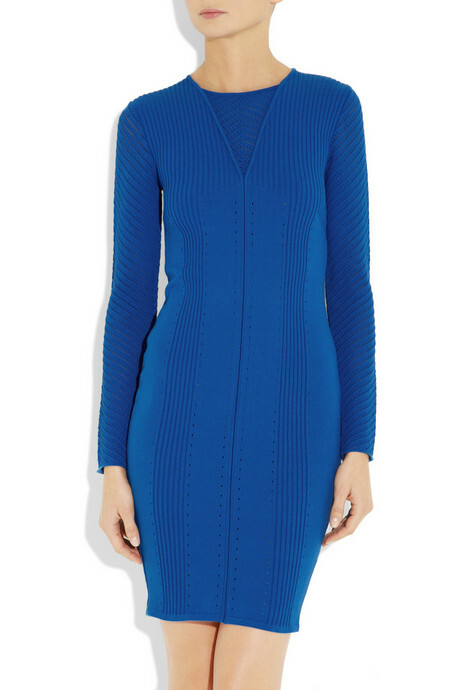 We love a great long-sleeved dress, and this one by Versace is our splurge this week. The ribbing, sheer open-knit, and pointelle detailing are exquisite, and the vibrant royal blue hue makes it a definite show-stopper. It captures the essence of the history of Versace with its figure enhancing style, but is countered with the long sleeve. Wear it with a simple yet bold bracelet and/or earrings and a strong shoe for a night out or dress it down with tights and flat boots for day. No matter how you style it, you are sure to be a hit!